At Shoshinkai 1994, Nintendo demonstrated their then-upcoming console, the Virtual Boy. To demonstrate its stereoscopic 3D effects, they made a brief demo featuring one of their most recognizable characters, Mario. 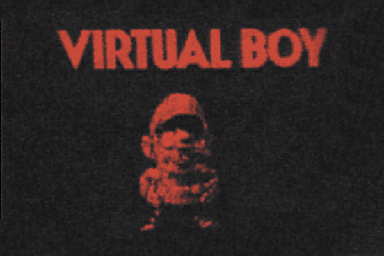 A rendered image of Mario appeared under the Virtual Boy logo, and then the logo flew towards the viewer letter by letter. The demo was also apparently hard-coded onto the Virtual Boy prototypes. ↑ Mario Demo at Super Mario Wiki. Retrieved 20 Oct '15. ↑ Mario Demo at Planet Virtual Boy. Retrieved 20 Oct '15. ↑ Mario Demo on YouTube. Retrieved 20 Oct '15.